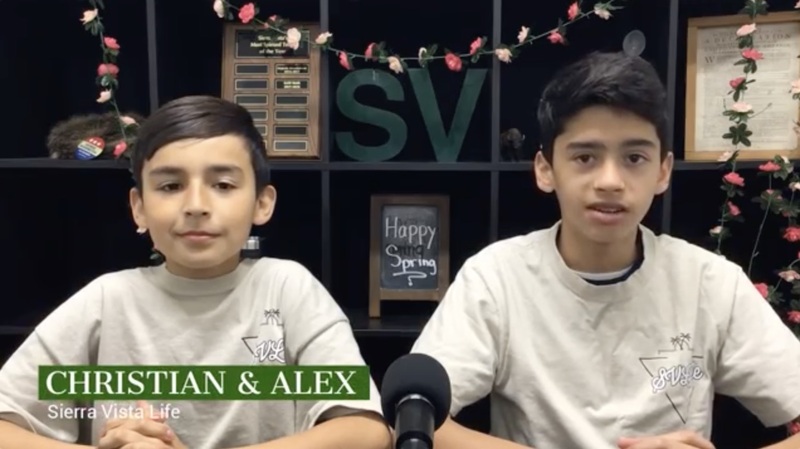 DFY in SCV: DFY in SCV presents X-Week: Sierra Vista’s X out drugs and alcohol campaign, starting Monday, April 15th through Friday, April 19th. On Tuesday, make sure you are wearing purple, green or black to support X week for DFY in the SCV! The team with the most participants earns spirit points! Activities taking place will include spirit days and a 3-legged race. Stay tuned for details! Canyon’s Dance Team: Do you love to dance? Is dancing one of your favorite things to do? Would you like to join Canyon’s Dance Team next year? Auditions and a mandatory parent meeting is on April 22 at 7pm in the Canyon High Library. For more details, visit SierraVistaLife.com. Lacrosse: If you’re interested in playing lacrosse, there is a FREE clinic that will take place at Central Park on June 8th. Students that are interested should register at kidslacrossesc.com ASAP. There are only 200 spots available. 69th LA County Science Fair: We want to recognize Emelie Alzando-Ovando for her hard work and achievement. She participated in the 69th Los Angeles County Science Fair that was held on March 28th-30th. She will be representing Sierra Vista Junior High School in the State Competition in the Science Broadcom Masters. The competition will be held in Sacramento. Board Games: Come to 621 with your lunch on Tuesday, March 16th, to hang out and play some board games! Clubs and Activities: Today in clubs and activities, we have the chess and games club in room 301 and the fitness club in the fitness center after school.